George Norbury Mackenzie, Colonial Families of the United States of America, Vol. 6, , at https://books.google.com/books?id=J1tlAAAAMAAJ . Baltimore, Maryland: The Seaforth Press, (1917) , p. 318. Walter Eliot Thwing, The Livermore Family of America, , at https://books.google.com/books?id=88xHAQAAMAAJ . Boston: W.B. Clarke Company, (1902) , pp. 82-8. Walter Eliot Thwing, The Livermore Family of America, , at https://books.google.com/books?id=88xHAQAAMAAJ . Boston: W.B. Clarke Company, (1902) , pp. 146-7. Henry Bond, Family Memorials: Genealogies of the Families and Descendants of the Early Settlers of Watertown, Massachusetts, Including Waltham and Weston; to which is Appended the Early History of the Town, Vol. 1, , at https://books.google.com/books?id=fIc-AAAAYAAJ . Boston: Little, Brown & Company, (1855) , p. 139. Lucius Robinson Paige, History of Cambridge, Massachusetts. 1630-1877: With a genealogical register, , at https://books.google.com/books?id=Yc00AQAAMAAJ . New York, Cambridge: H. O. Houghton and Company, (1877) , Vol. 2, p. 591. Walter Eliot Thwing, The Livermore Family of America, , at https://books.google.com/books?id=88xHAQAAMAAJ . Boston: W.B. Clarke Company, (1902) , pp. 127-8. George Norbury Mackenzie, Colonial Families of the United States of America, Vol. 6, , at https://books.google.com/books?id=J1tlAAAAMAAJ . Baltimore, Maryland: The Seaforth Press, (1917) , p. 314. "Massachusetts, Town Clerk, Vital and Town Records, 1626-2001," database with images, FamilySearch (https://familysearch.org/ark:/61903/1:1:F4NH-FVL : 13 July 2016), Samuel Livermore, 15 May 1732; citing Birth, Watertown, Middlesex, Massachusetts, United States, , town clerk offices, Massachusetts; FHL microfilm 745,869. Record added: Jun 04, 2003. Walter Eliot Thwing, The Livermore Family of America, , at https://books.google.com/books?id=88xHAQAAMAAJ . Boston: W.B. Clarke Company, (1902) , p. 238. 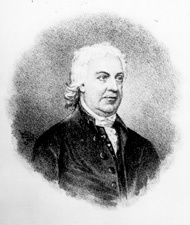 He was graduated in 1726 from Harvard College, and practiced medicine for a time in Sunderland, Mass., being the first physician of that town. In September, 1735, with four others, he came to Pequoig, and commenced the first settlement of this town; his dwelling was located on the " Street," on the place known for a long time as the Humphrey place. He appears to have been the principal man among the company of settlers, both in education and influence, and was the first clerk of the Proprietors, which office he continued to hold up to Oct. 18, 1758. He was during all these years the leading spirit in ancient Pequoig, being the first doctor, the first preacher, the first magistrate, the first treasurer, the first tax gatherer, the first surveyor, in fact, as an old manuscript has it, he was "Boss and all hands." At length a misunderstanding arose between Mr. Lord and the proprietors, the particular cause for which it is impossible for us to satisfactorily determine. For some reason he refused to give up the records, and an action was commenced against him for the recovery of the books, records, plans etc. The court rendered judgment against Mr. Lord in November, 1759, for one thousand pounds. The result was that Mr. Lord left Pequoig and went to Putney, Vt., then New Hampshire, where he lived for thirty years, holding high and responsible positions. By commissions dated the 16th of July, 1766, he was appointed second judge of the Inferior Court of Common Pleas, and a justice of the peace for Cumberland County. These commissions were renewed on two subsequent occasions, and he was continued in office until the commencement of the Revolution. He was also appointed by a writ of dedimus potestatem, a commissioner to "swear all officers" chosen in that county, and held the office until the 14th of April, 1772. A few months previous to the time for appointing judges, in the year 1772, Mr. Lord was desirous of withdrawing from the service of the province. In his letter to Governor Tyron, dated the 29th of January, he declared his reasons for wishing to retire, in these words: "I being now arrived at the sixtyeighth year of my age, and attended with the infirmities common to advancing years, such as great deafness, loss of memory, dimness of sight, and at times, a paralytic tremor in my hands, etc., which disqualifies me for the full, free, and perfect discharge of the offices of second judge of the Inferior Court of Common Pleas, and justice of the peace, which I have sustained in the county for several years last past, and having a desire to retire from public business and spend the remainder of my days in a calm retirement therefrom, and concern myself in nothing else, but doing good to my numerous family and neighbors, and praying for the King, your Excellency, and all others, the King's officers, and prepare for a glorious Immortality—therefore humbly entreat your Excellency to appoint some other person to said offices in my room and stead." Lilley Brewer Caswell, Athol, Massachusetts, past and present, Athol, Mass. : Published by the author, (1899) , p. 210. Lilley Brewer Caswell, Athol, Massachusetts, past and present, Athol, Mass. : Published by the author, (1899) , p. 210-213. Lilley Brewer Caswell, Athol, Massachusetts, past and present, Athol, Mass. : Published by the author, (1899) , p. 213. Joseph married Abigail Hinckley, daughter of Gov. Thomas Hinckley and Mary Smith, on January 2, 1697/98, as his first wife. "When Mr. Lord settled here his family consisted of his wife and seven children, all of whom were born in South Carolina. Madam Lord was well fitted to fill the high position, which the ministers wife was then excepted to hold. Beautiful, intellectual, devout, well reared, she fully met the requirements excepted of a daughter of Gov. Hinckley. Her influence on the life of the town was, however, of a comparatively brief duration. She passed away on the night of December 14, 1725, age 56 years, and nearly twenty years thereafter her husband cherished her memory by leading a single life." James Savage, A Genealogical Dictionary or The first Settlers of New England showing Three Generations or Those who came Before May, 1692 on the Basis of Farmer's Register, (1862) , vol. 2, p. 425. John R. Totten, "Thacher-Thatcher Genealogy", The New York genealogical and biographical record (1916): p. 171. Amos Otis, Genealogical Notes of Barnstable Families, Baltimore, Maryland: Genealogical Publishing Co., (2007) , Vol. 2, pp. 33-37.